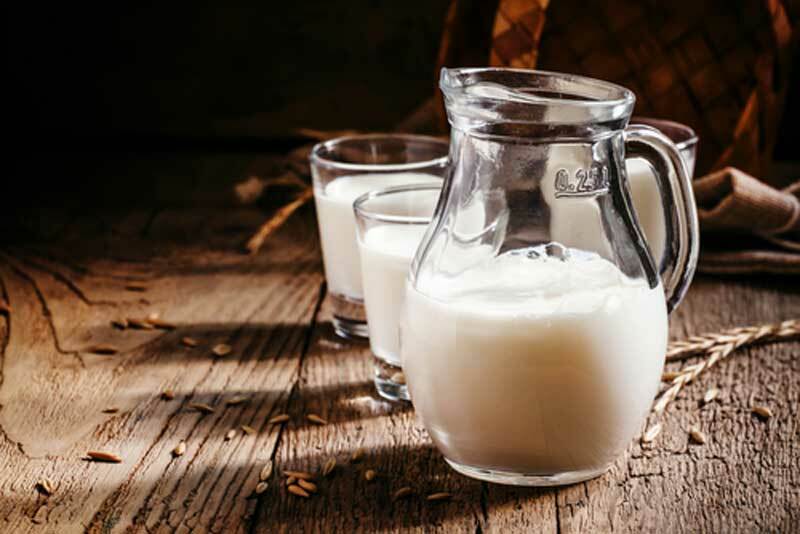 For centuries, cow milk has remained the preferred source of a range of vital nutrients for most people around the world, next only to mother’s milk. What you may not realize is goat milk has been just as popular among communities that live in geographies that support goat farming. That said, it is not availability alone that matters when you are to choose between goat milk and cow milk. Goat’s milk offers certain health benefits that cow’s milk lack in. Let’s compare goat’s milk content with cow’s milk to get a general understanding you can base your choices on. First and foremost we need to understand that all milk is made up of water, lactose, fat, protein and micronutrients. However, in spite of their common content profile milks differ from each other in some ingredients and in their unit values. Of late, goat’s milk is gaining popularity in many parts of the world where cow’s milk has been traditionally prevalent. This shift is found mostly in the health-conscious sections for a few good reasons. In fact, goat’s milk remains the most popular globally. Primarily, goat’s milk is alkaline whereas cow’s milk is acidic. Alkaline diet is known to prevent diseases including respiratory, digestive, dermatological, cardiovascular, neurological and muscular. Goat’s milk is a good source of protein. It contains less sugar (lactose), more calcium, vitamin B6, vitamin A (for eyes) and 134% more potassium than regular cow’s milk. Triglycerides with medium-chain fatty acids (MCT), found in goat’s milk, are excellent source of energy. MCT are digested fast and efficiently. Omega 3 and 6 fatty acids too are higher in goat’s milk than in cow’s milk. Both goat’s milk and cow’s milk come with rich array of vitamins and minerals including Calcium, Selenium and Vitamin B12. However, studies show that our body absorbs minerals in goat’s milk much better than those found in cow’s milk. Fat globules in goat’s milk being smaller, pancreatic lipase and fat-digesting enzyme process them more effortlessly than those of cow’s milk. Our bodies produce enzymes that help break down food we ingest, sugar, in particular. Since goat’s milk contains less lactose (milk sugar) than cow’s milk, it is easily digested. Our body doesn’t have to produce as much enzymes to break down goat’s milk as it does for cow’s milk. Goat’s milk is less allergenic to protein contents. Goat’s milk is ideal for people that are diary sensitive. Growing demand for goat’s milk is a good sign for the enterprising ones out there. If you are one, here are a few useful tips on goat farming. Goat farming can be described a less-investment-more-profit business. Goats produce milk, meat, fiber, manure and skin. So you make profit in more ways than one. You may start your goat farm with couple of goats and add later to the flock as you go along. Breed the breed suitable for your local region. Boer, Beetal, Matou and Black Bengal breeds are ideal for meat if you are interested in goat meat farming. Saanen, Jamunapari, Toggenburg, Anglo Nubian and Alpine are the best breeds of goats for dairy farming. Ensure that your goat shed is ready before you buy goat/s. If you are going to feed them in the shed itself, you should have feeder and drinkers ready before the first batch is brought in. Arrange for a fence around the shed. If you want to feed them green fodder, allocate some land to cultivate crops such as bajra, jowar and hybrid grasses that make good fodder for them. Give them vaccines from time to time and arrange for their healthcare. If you think, you can’t afford to handle the pains of goat farming, you have a ready help in Prakruthi Farms (click here), in Hosur, just 1 hour drive from Bangalore.